even when the skies are bleak. But I cannot tell, that hole is dark, vicious. my choices are mine alone. Co-hosting @blogchatter prompt this week with our very own Richa Singh. Glad you liked it Prateek! That was beautiful and so powerful. Being me is the best I can be! Aah! BlogChatter! I miss thee! It's been ages since I participated in one of those fun chats! I saw a tweet about this linky earlier today. It's open till 9th, right? Will try to write a post on the prompt before that. Your secret is your strength. The power that you have .......to turn even a bkeak dull day to an enriching and happy one! Beautifully expressed Adi! beautifully written Aditi. those are really inspiring and empowering words. 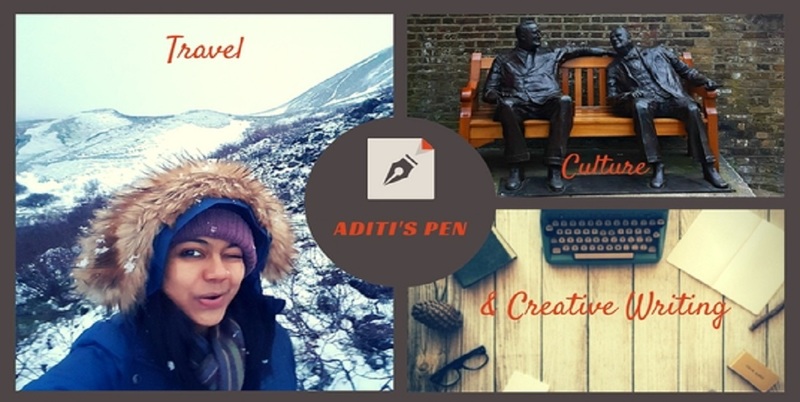 You blended the various prompts quite wonderfully, Aditi. Well done! Beautifully written Aditi! Well done! Aditi, I really enjoyed reading your secret!